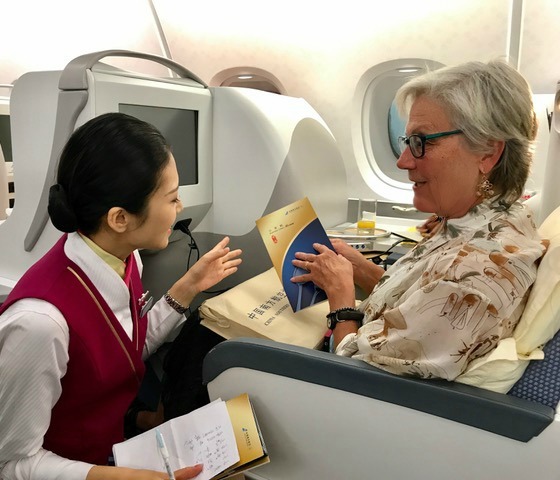 UNSTOPPABLE STACEY: What is it like to fly Business Class with China Southern? 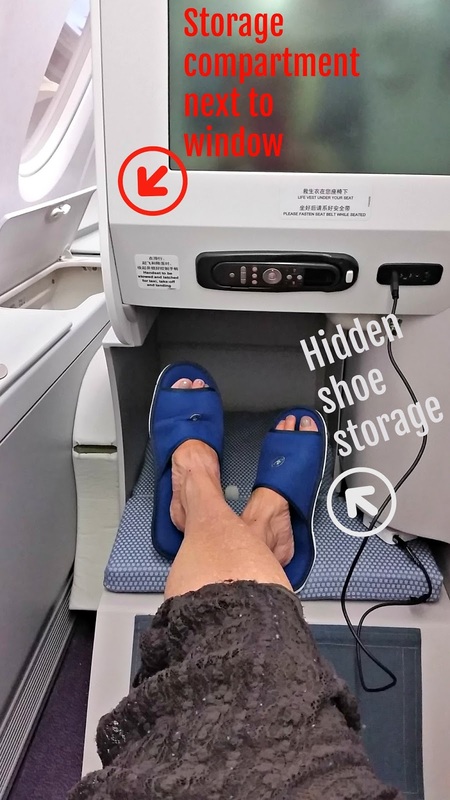 What is it like to fly Business Class with China Southern? After my non-stop flight from LAX to Guangzhou, many ask, “What is it like to fly Business Class on China Southern?” The first thing I say is, “China Southern’s business class is a real game changer for people who can’t sleep in Economy.” Then I tell them how I sprawled out in a 24-inch Business Class seat that -- with the flip of a switch -- reclined into a flat bed. Of course, I had to try it out -- before the flight attendant came by with beverages -- while waiting on the ground for the wide-body jumbo jet to fill with the Economy passengers. Hey, I’d been one of those poor Economy saps just the week before. This was my first flight on the acclaimed Airbus 380 (A380), the largest passenger airliner on the planet. The A380 has been in commercial service since October 2007, but this was my maiden voyage on the massive craft. I’ve read that the A380-800’s cabin has 40% more usable floor space than the next largest airliner, the Boeing 747-8. No wonder the cabin feels open and spacious; it would be difficult to get claustrophobic here. 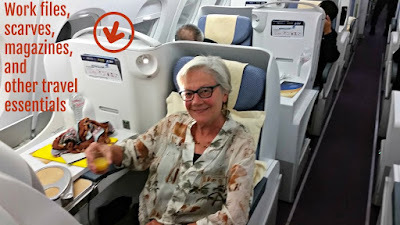 In addition to my two-foot wide seat, I had a large storage compartment next to the window (I scored a window seat) and another 24-inches of table-top-like space for work files, magazines, scarves or other travel essentials. With China Southern's 1-2-1 configuration you can get a window seat AND an aisle seat, all in one! 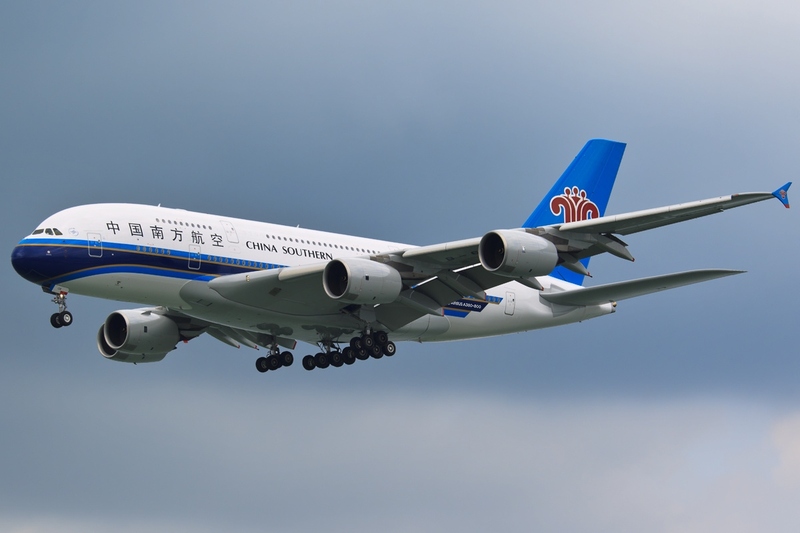 China Southern, a state-owned airline, flies daily direct flights from LAX, SFO and JFK to Guangzhou (CAN) in southern China. 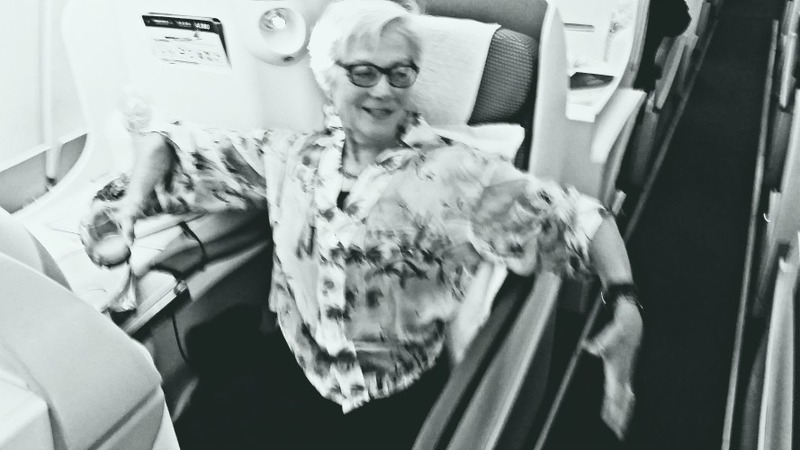 I was delighted to take my first A380 flight on a long-haul Business Class ride from LAX to CAN. Earlier while walking from the boarding gate to the A380, I was directed to the elevator and gangway that took me to the upper deck. With Business Class, I’d been welcomed with Priority Boarding, so I was one of the first passengers onto the jetliner. “Oh boy, the upper deck!” I smiled. I always wondered what the ride felt like from the upstairs section. And I couldn't wait to get the upper level views of LAX at night. Ordering dinner before take-off - check out that window right behind my head. 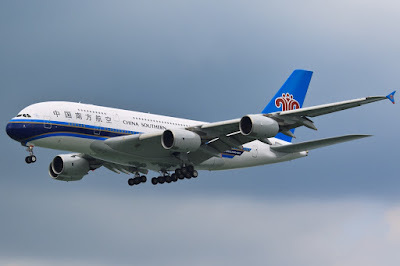 What does it feel like to fly on a China Southern A380? We took off at 10:20 pm LA time. From my perspective in Business Class, the giant craft felt like a hotel taking off. From the upper level, the sensation of lift-off seemed different than the feeling I get during take-off in narrow-body airplanes. The cabin of the A380 is one of the quietest in the world, so maybe that’s why it felt more like the quiet, calm bridge of the Starship Enterprise than Luke Skywalker’s rattle-y and bouncy X-Wing Starfighter. Speeding down the runway just before the plane becomes airborne is always my favorite part of the flight, and I pay careful attention to my body’s sensations during each take-off. You see, I’m an acceleration junkie; the sensation of taking off in an airplane is now the closest I get to the feeling of accelerating a race car. Yes, I loved racing automobiles and miss the adrenaline rush of 0-60 mph in three seconds. The large plane seemed to lumber down the runway, hardly picking up speed. When the giant bird finally let go of the ground, we began our ascent. 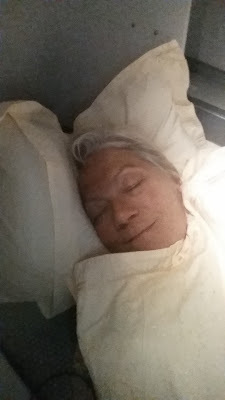 Throughout the duration of the 15-hour flight, I experienced a very smooth ride. Only at one point in the night was I awakened by the feeling of motion. And that sensation can best be described as the motion you would get if you were laying on the back of a large whale or dolphin. Just a comforting, gentle, gliding, streamlined motion. I went right back to sleep. 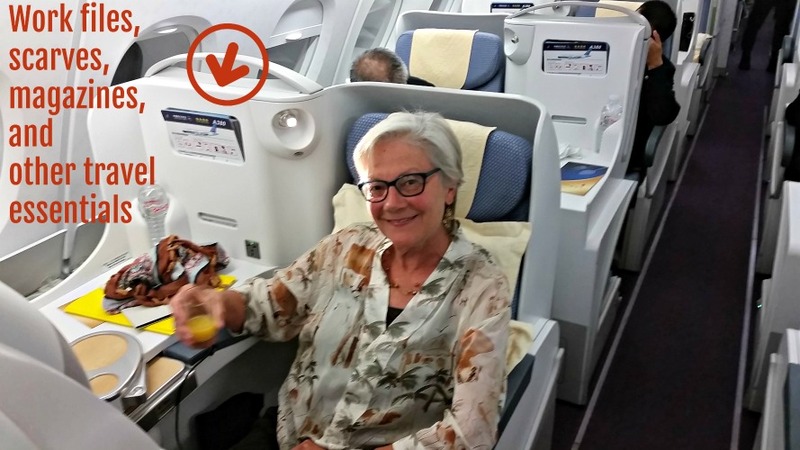 Why you should upgrade to Business Class? 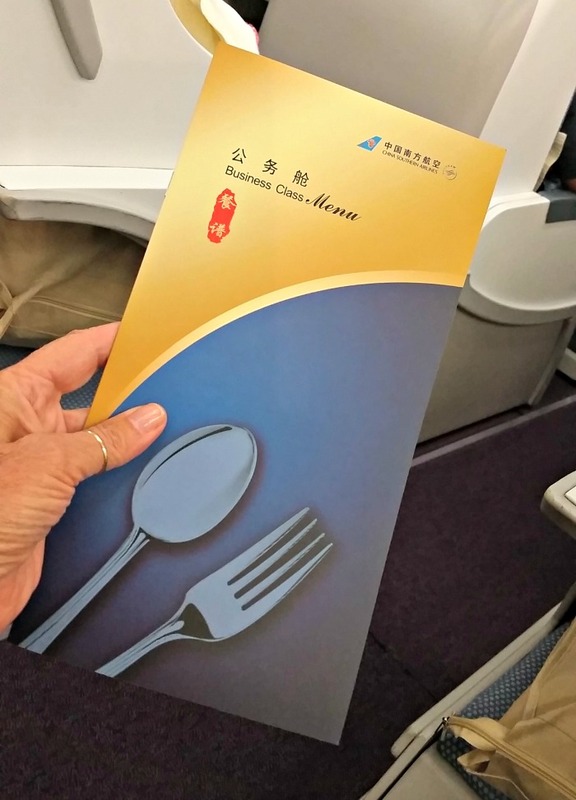 I slept more than seven hours on my China Southern Airlines flight from LAX to CAN. That alone should have you upgrading to Business Class. Lots of room - a window seat with an aisle. My feet can't even touch the end of the pod and I'm 5'7"
I hit the switch to unfold my 24-inch-wide seat into a flat bed (I was already relaxing in ‘cradle mode’ after the sumptuous dinner.) I grabbed my choice of pillow (two sizes), then put on the ear plugs, eye mask and calming facial mist found in my Business Class amenity bag and finally curled up to sleep. I found that I could lay flat on my back or curl up on my side just like I do in my own bed at home. I was awakened from a deep sleep by the flight attendants who had asked at dinner time if I wanted to be roused for breakfast. Of course! 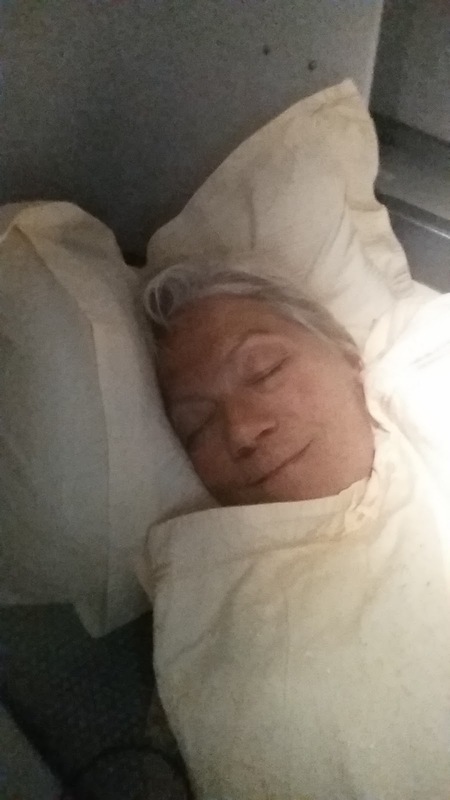 The bed was so comfortable and I slept so well that I think I am spoiled to ever return to Economy seating. However, I do now have the experience to write the next article, “How to Make Economy feel like Business Class.” I’ll try my best. 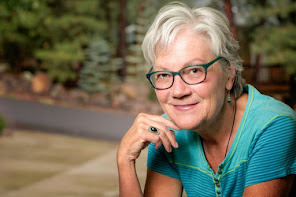 Stacey "Vagabonding Lulu" Wittig is an Arizona travel writer who loves calling the Grand Canyon State home. She was hosted by China Southern Airlines for this trip that continued onto Thailand. Enjoy this article? 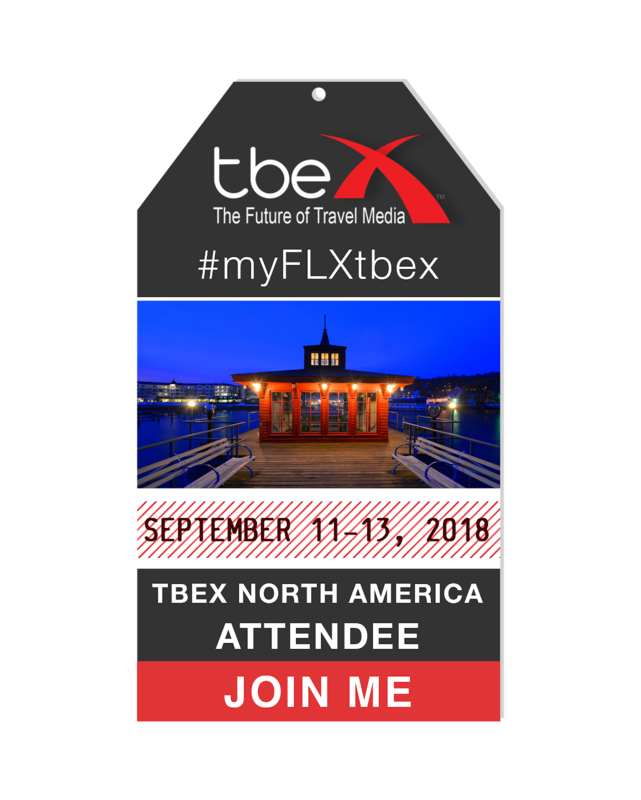 Then sign up to receive email notification so you don't miss her next travel tips. The flight back for me was the LAX route - and that upper deck was super impressive!! Also can’t beat those Bordeaux wines they serve ;) great recap! Wow! Makes flying in the USA seem like riding the rails in a boxcar.